We buy and sell new and used pianos. 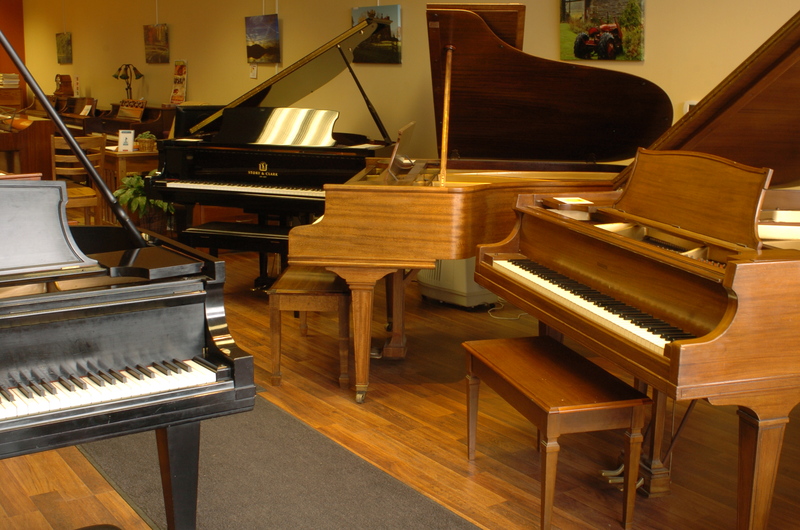 Trade-ins are welcome when purchasing a piano from us. We can also offer consignment opportunities if it better suits your situation. When purchasing a piano from us, we extend a 5 year trade-up agreement if you should decide to buy a newer or larger piano at a later date. Unlike many of our competitors, our pianos include a matching bench, first tuning and voicing. Credit cards accepted and financing available. Authorized dealer of Kawai Pianos, The Future of the Piano.View our Virtual Showroom.